Craig is a strategic advisor to a number of financial sector firms, startup ventures and partnerships for new initiatives. He is the managing partner of CWA Advisors LLC, a consultancy and advisory firm, and has an extensive background in financial services with a focus on new products, technology and financial/risk controls. Craig started his career in New York with Citibank’s Operating Group before moving to Chicago to join First Chicago Corporation where he led the launch of the first Visa Travelers Cheque product. He directed First Chicago’s European systems and operations in London as the international branch network was consolidated and reconfigured. His other career assignments included Chief Operating Officer in London for Swiss Bank Corporation (now UBS), Managing Director of derivatives technology and operations for Lehman Brothers Inc. in New York and Chief Administrative Officer for the North American units of Caisse des Depots (now Natixis). Craig established CWA Advisors as a financial technology consulting and advisory firm to bring his experience in business development, strategic business startups and technology innovation to pioneering firms in the U.S. and abroad. He has expanded his interests to include startup ventures focused on Fintech, Medtech and Edtech where he provides guidance on governance, strategy and financial matters. He is a director of Cochrane Ranche Inc., a private Canadian natural resource company and has been a long time board advisor to Suite LLC, a fin-tech provider of financial models and software. 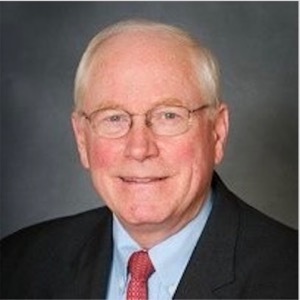 Craig is a graduate of the University of New Hampshire with a degree in economics where he has served on the International Board of Visitors as well as a current Director and Executive Committee member of the Alumni Association Board. He is a Charter Member of TiE New York and actively involved in the open mic and mentoring programs as well as an angel investor.